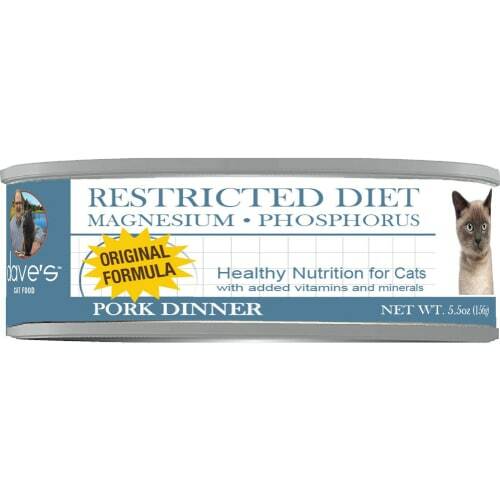 Cats love the taste of fish and its healthy for them too! 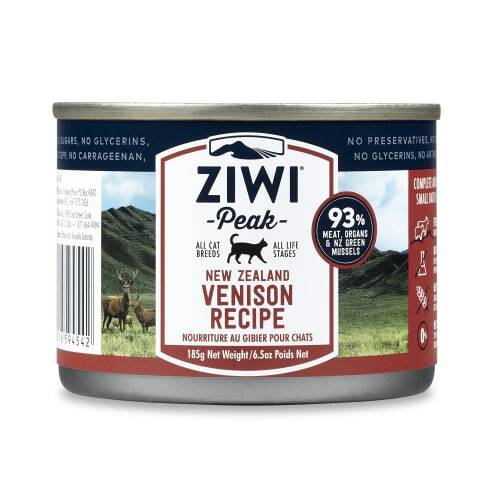 Fresh fish is an excellent source of Omega 3 fatty acids and quality protein. 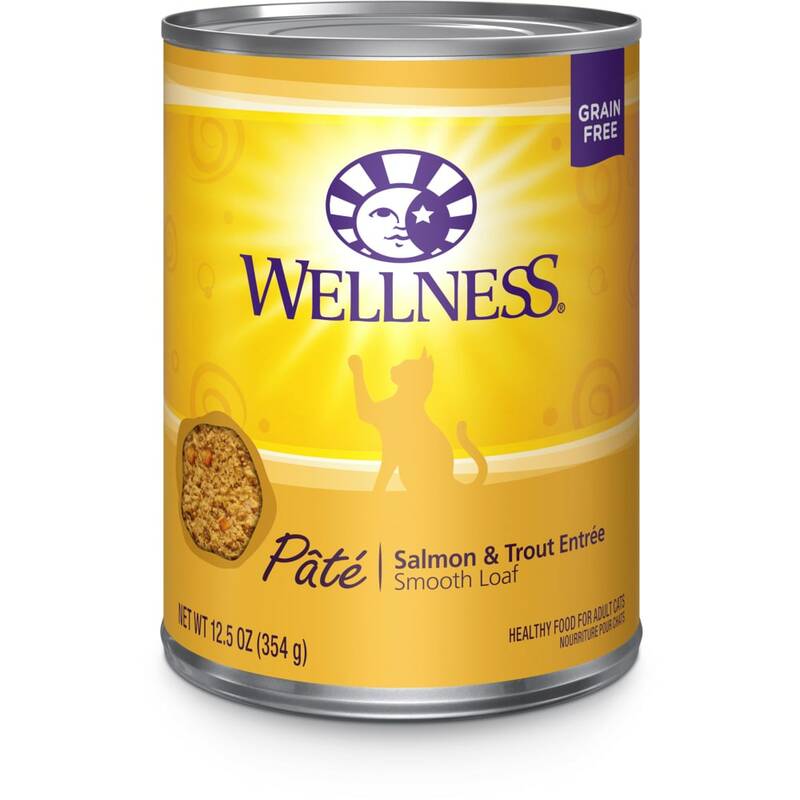 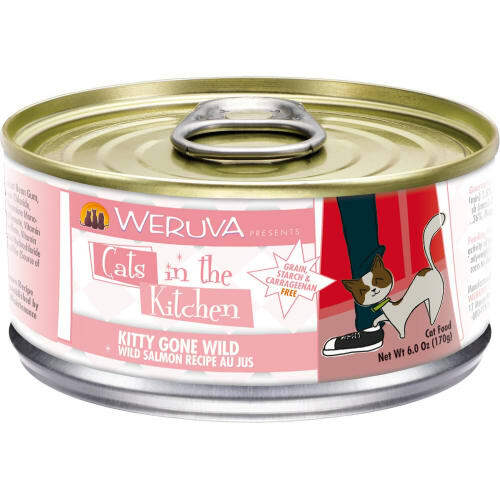 Wellness Salmon & Trout Formula Canned Cat Food is made with ethoxyquin-free fish, whole vegetables and fruit, with no artificial additives, colors, or preservatives. 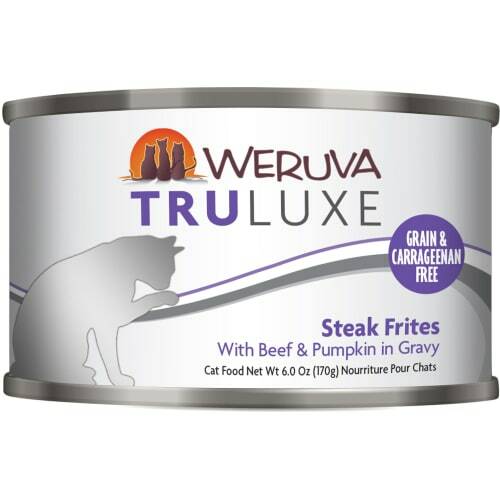 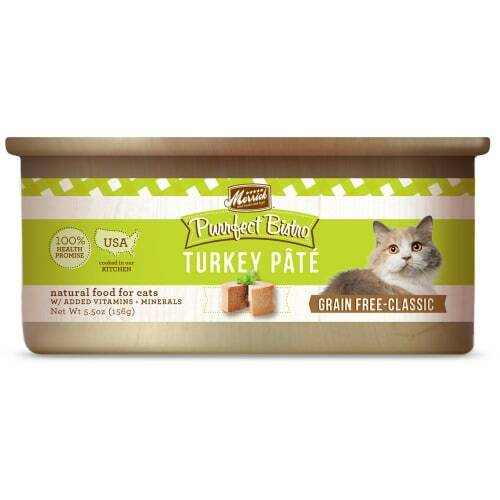 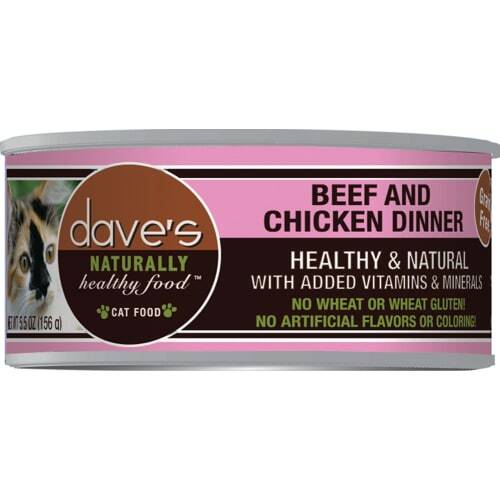 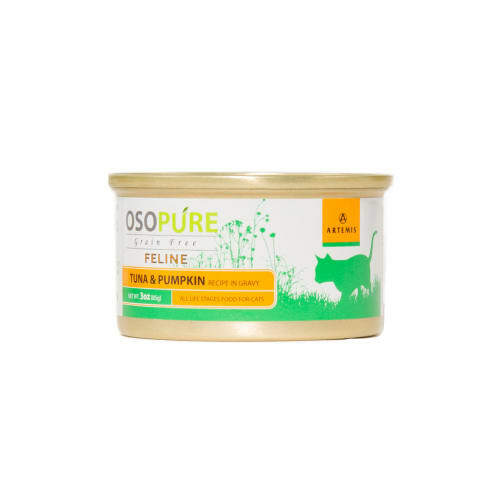 This all natural cat food uses delicious, real-foods like deboned meats, free of added hormones and steroids, wholesome grains and fresh fruits and vegetables to provide the perfect balance of protein, energy, vitamins, minerals, and antioxidants in a complete meal. 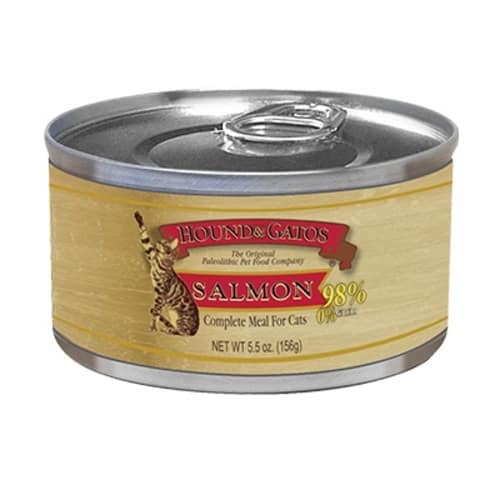 Your cat will love the all-natural taste of Wellness Salmon & Trout Formula Canned Cat Food. 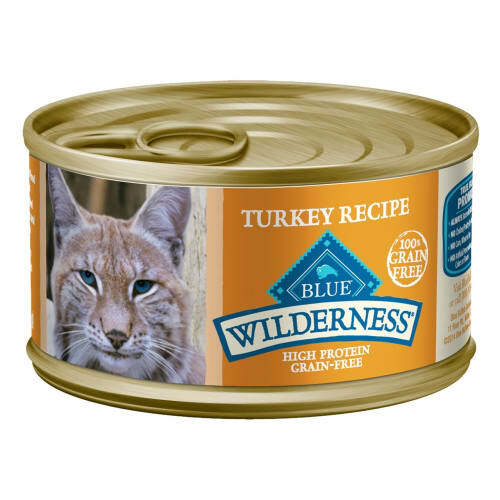 Turkey, Turkey Broth, Water Sufficient For Processing, Salmon, Dried Egg Whites, Dried Ground Peas, Tomatoes, Carrots, Natural Flavor, Dried Egg Product, Guar Gum, Sodium Phosphate, Ground Flaxseed, Salt, Potassium Chloride, Choline Chloride, Cranberries, Minerals (Iron Amino Acid Chelate, Zinc Amino Acid Chelate, Copper Amino Acid Chelate, Manganese Amino Acid Chelate, Sodium Selenite, Potassium Iodide), Vitamins (Thiamine Mononitrate, Vitamin E Supplement, Niacin, d-Calcium Pantothenate, Pyridoxine Hydrochloride, Riboflavin Supplement, Vitamin A Supplement, Biotin, Vitamin D3 Supplement, Vitamin B12 Supplement, Folic Acid), Taurine.